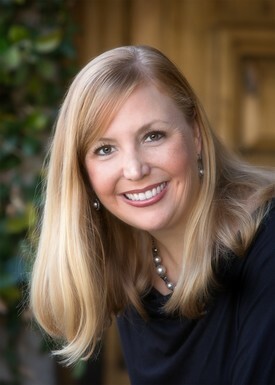 Dr. Crowe | Saratoga, CA | Laura Crowe, D.D.S. Dr. Crowe grew up in Saratoga and went to Prospect High. She received her bachelor’s degree in 1991 from the University of California at Berkeley, and her Doctor of Dental Surgery degree from the University of California, San Francisco (UCSF) School of Dentistry in 1995. She has been in practice in Saratoga since 1998. In addition to bachelor’s degrees in both English and Dental Science, and her DDS degree, Dr. Crowe has extensive post-graduate training in dental implant restoration and advanced cosmetics. As the field of dentistry is always advancing and evolving, she is committed to her own continuing education, and regularly takes over 40 hours of classes every year. Dr. Crowe is a member of the Santa Clara County Dental Society, California Dental Association, and the American Dental Association. Dr. Crowe lives in Los Gatos, has two daughters, Caroline and Meredith, and a German shepherd named Opal. She is a True Blue (and sometimes long-suffering) fan of Golden Bear football, likes to read, swim, go to the movies, snorkel, and take Opal for long walks. She loves being a dentist, enjoying the personal relationships she has with her patients, the challenge of complex cases, and the opportunity to help people.